Pulsir is a service for charities to raise targeted aid funds for children. Service Pulsir consists of Web part and mobile application. The web interface is designed for charities, the main task of which is to create a common base of children profiles in need of urgent and costly treatment. Through the mobile app collecting funds from donors for the children who need help is made. It was created web-interface for the project, promo-page and mobile App on IOS platform. 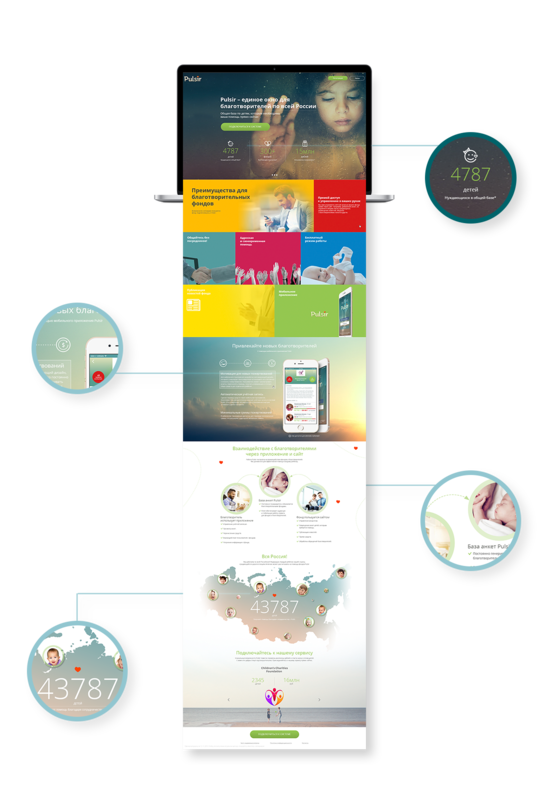 It was developed motivating design to attract charity providers, funds, return users back to the mobile App.